How can you create an effective digital file sharing solution for your business? One of the common challenges businesses face is an effective way of sharing files and keeping them up to date. The more employees pass files around the office, the more revisions they go through. At a certain point, it becomes difficult to keep track of who has the most current version, or whether changes made to one version made it in to another. Beyond that, with an increasing amount of work done remotely or via mobile device, employees need reliable and secure access to all their files. 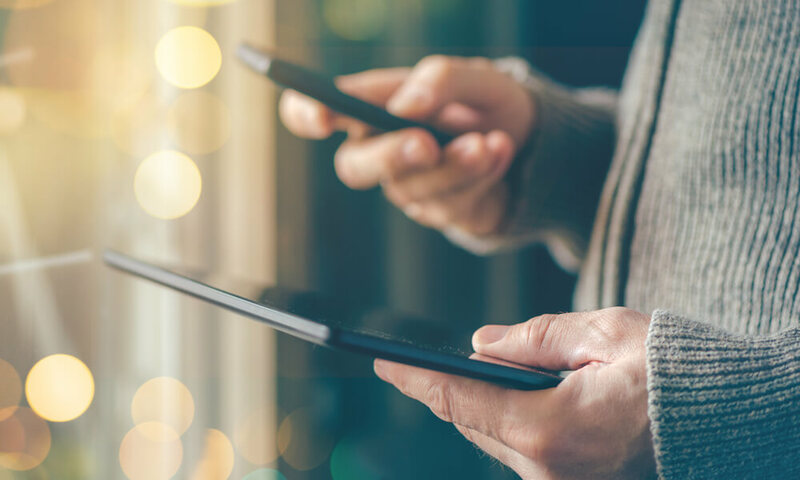 If updates don’t sync across devices, or if they aren’t easy to review and edit on mobile platforms, then your employees may struggle to do their jobs effectively. To find good file sync and share solutions for your business, it’s important to assess what your needs. We’ve broken down some of the options available, and how they address common problems that many businesses face. Let’s start with the assumption that you want to move away from a purely on premise file sharing solution, as this would limit access for remote employees. That means a shift to either the public or the private cloud—or a hybrid of the two. Public cloud options include storage apps such as Dropbox, Google Drive, or Microsoft’s OneDrive. The companies that run them have worked hard to streamline the onboarding process. In fact, many businesses start using them before they’ve fully assessed whether they are the best solution for their needs. They often work well for small businesses with few requirements, but can fall short of the needs of larger enterprises. Private cloud options are more expensive and involve more onboarding, but provide a custom solution that is more tailored to your business’s needs. A hybrid of the two might involve using a public cloud for external file sharing but a private cloud for internal documents. Do you want to control which employees have editing privileges and which have read only? Do you want to have multiple users collaborating in a document at once? What about the file structure, or the document types supported? Can you edit within the app, or are changes made on your desktop version automatically synced with your cloud storage? Old habits die hard. If your new solution isn’t easy to use, it’s likely your employees will revert to whatever processes they used before. How well does your solution integrate with your current data storage practices? If your business shares and updates internal documents on a cloud, but archives them elsewhere, the additional steps could lead to employee errors. Similarly, it should integrate with whatever backup solution you use with your business. After all, the whole purpose of your file syncing and sharing software is to make work more seamless—not add needless steps to your process. Security is the most important feature of any file sharing solution you use for your business. Data encryption is key, as are the abilities to control user access and remotely wipe data from lost or stolen devices. We can help discover the right solution for your business. Every business comes with its own requirements for effective file syncing and sharing solutions. Making the right decision begins with assessing your needs and measuring them against the features and usability of the various applications available. We can work with your businesses to understand those needs and make recommendations for an effective solution. We also offer a private cloud solution with a remote desktop that can help your employees manage files securely, whether they’re in the office or working remotely. Contact us for a free consultation.